Few could argue that there is a more important component for sustaining an effective police force than great training. Despite this, there are always impediments that make it tough to accomplish. Time is always an issue, budgets can be an issue, and sometimes the most effective training requires traveling to a specific site to get it. However, the Legion Operator Training Group is working to eliminate at least one of the impediments to great training by bringing it to you. Now, police chiefs and sheriffs don’t have to worry about getting approval from city council or the county commissioners, not to mention planning for the second and third order effects of sending officers and deputies to a training location for classes. The concept of the Mobile Training Team (MTT) is not new; the military has used it for decades and now Legion has adapted the concept for LE training. At the Ready recently discussed the MTTs with Rob Phipps, Legion’s Training Director. 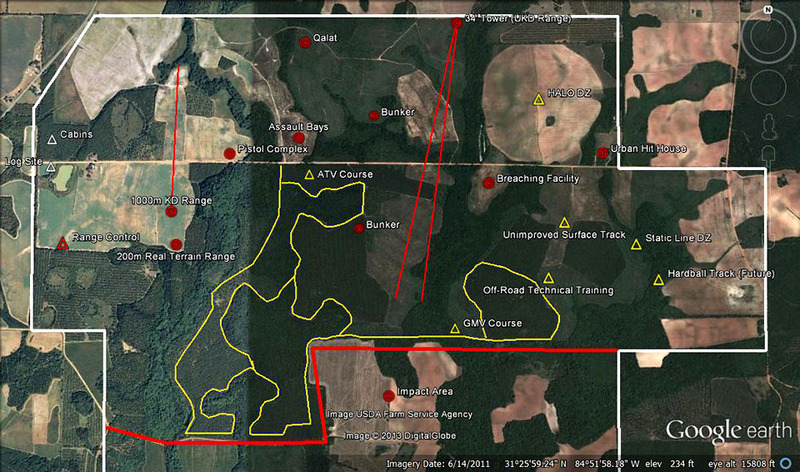 “Legion OTG is a 4,500 acre, full spectrum tactical training facility in Blakely, Georgia that meets the training requirements of our Military, Special Operations Forces (SOF), Law Enforcement, Contractor and Civilian clientele,” he said. With a 1,000 meter known distance range, 200 meter real terrain range, a pistol complex, multiple assault bays, a 2000 meter unknown distance range, a breaching facility, off road technical track, and an urban training facility, among other features, it is easy to see how the meet the needs of those who come and train at the site. The Legion MTTs offer a wide variety of courses that are certain to provide excellent training opportunities. 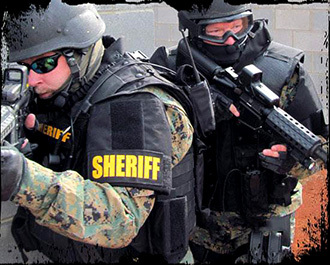 “The courses for law enforcement agencies range anywhere from basic through the most advanced in weapons, breaching and tactics. The most popular courses inquired about by LE are Active Shooter and Hostage Rescue courses.” The feasibility of conducting some of these classes, of course depends on the training area that the requesting agency has available to them. “If the requesting the agency has the facilities and ranges to accommodate the requested training, then we would absolutely provide the instruction to them through an MTT team,” Phipps said. Many agencies have already recognized the value of the training facilities and the training provided by Legion. According to Phipps they have already trained and worked with multiple elements from the Department of Homeland Security and multiple local law enforcement agencies and sheriff’s departments. The available classes are wide-ranging, some of which are listed below. To allow LE agencies to become more familiar with Legion, there is a Law Enforcement Open House on August 23 at the facility in Blakely. 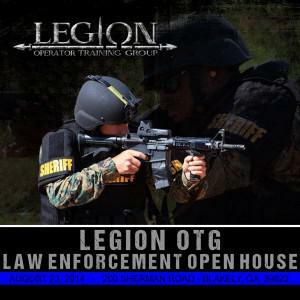 Legion understands that budgets are tight so there is no charge for the Open House. They will open and run any ranges you would like to shoot as well as offer free Tactical Pistol, Tactical Carbine and Designated Marksman courses throughout the day. For more information and to register click here. At the Ready also understands that budgets are tight. Earlier this year, we ran a series of articles designed to help departments get the funding they need. Finding Your Funding - Part I discussed grant and other funding opportunities and provides specific tips to help departments win the funding they need, and Finding Your Funding - Part II, by Chief Robert Avsec, tells you exactly how to set up a non-profit organization for your department. By developing the concept of the MTT for Law Enforcement and bringing the training to those who need it, Legion has helped to overcome one of the toughest impediments to effective training.